Alienware Aurora m9700 notebook computer features AMD 64-bit Turion processor with HyperTransport technology, 17″ widescreen Clearview LCD display, SLI capable dual 256MB nVidia GeForce Go 7900 GS graphics card, RAID capability, integrated TV tuner, full size keyboard with separate numeric keypad, dual layer DVD rewriter, WiFi, Bluetooth, and a 4-in-1 memory card reader. 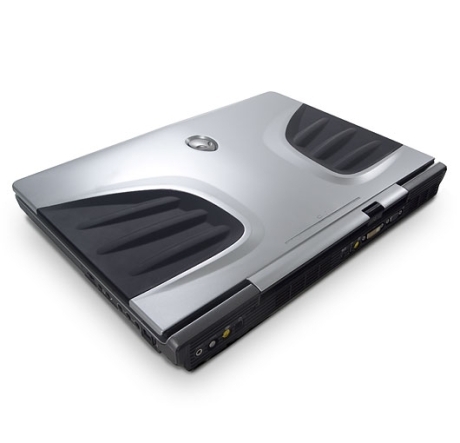 Hot Hardware reviewed Alienware Aurora m9700 laptop and assigned the laptop with Heat Meter of 8.5 out of 10. Hot Hardware concluded that overall, it is hard to be anything but impressed by Alienware’s latest gaming notebook. The Aurora m9700 is the world’s first 17″ SLI capable notebook and offers an unprecedented level of performance. Until Intel’s Conroe comes out, AMD is the gaming platform of choice and Alienware has done well to select the components it did for this gaming notebook. The Turion64 ML-44 processor is a potent CPU which runs cool and has some excellent power management features. Pairing this CPU to the proven NVIDIA nForce4 SLI chipset results in a stable and powerful foundation. Adding two GeForce Go 7900 GPU’s to the mix is the critical ingredient to have an exceptional gaming notebook.